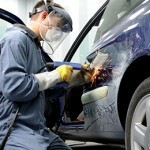 No other workshop can take good care of your Toyota better than we can. From a simple brake pad replacement to a more complicated engine problem, our highly-skilled technicians can effectively diagnose and fix your vehicle in no time, ensuring you peace of mind and long driving pleasure. Why choose Toyota G.T Workshop? 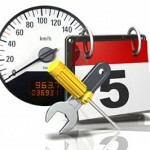 Prevention is better that cure, that’s why for hassle and worry-free driving always follow the recommended periodic maintenance intervals (every 5000 km) for your vehicle.During periodic maintenance service, vital parts and lubes are inspected and if necessary, replaced to prevent vehicle breakdown. Through our highest quality repairs, precision, craftsmanship nad a great finish, medium to heavy damage (more than two panels damaged) to your car is not a concern. We ensure that your car still feels and functions just like it did when you first bought it. 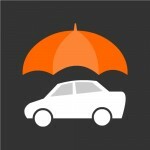 As your time is important to us, we speed up the insurance claims process through onsite support. All major insurance companies are represented at the Toyota G.T Insurance Centre where all surveyors are available for inspection, paperwork and approvals. Toyota G.T Body and Paint facility puts very emphasis on workmanship, staff wellbeing and safety as well as preserving the environment.Toyota G.T uses the :Sikkens” paints which are being used in around 90% of Toyota Japan Body and Paint workshops. Such paints have a low chemical content and considered very much less harmful to human health and environment.